WEW Podcast Ep. 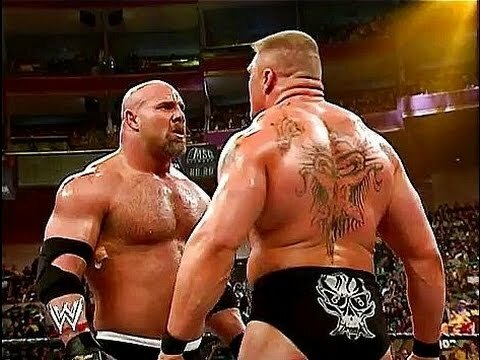 7 – ‘Wrestle Circus’, WWE, Goldberg vs Brock Lesnar! This is our sixth episode our new brand of podcast called ‘Wrestling is Everything is Wrestling‘ or WEW for short, which is part of the Boomstick Comics brand on the Multi-Media Men Podcast label. That was a mouth full. Tom Nix, Bryan Kluger, and special guest Zach Shildwachter get in the ring and discuss the new TEXAS-based wrestling promotion, Wrestle Circus and their upcoming shows. We also talk about the current status of WWE, Goldberg’s return to challenge Brock Lesnar. PS – There were some audio dropouts during this episode, so we apologize in advance for this. This entry was posted on Wednesday, October 26th, 2016 at 9:29 am	and is filed under Events, News, Podcast. You can follow any responses to this entry through the RSS 2.0 feed. You can skip to the end and leave a response. Pinging is currently not allowed. « Philip Reeve’s ‘Mortal Engines’ Being Written For Screen By Peter Jackson!! !